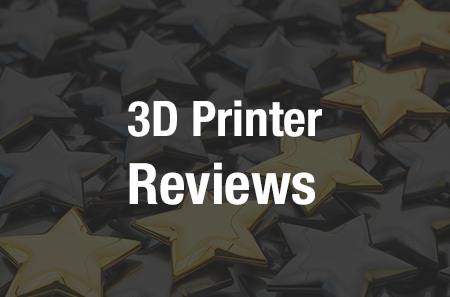 While we have seen so many incredible life-changing applications for 3D printing, there are still many concerns which remain on the table when dealing with the possible negative implications of the technology. Whether you believe that the ease in which practically anyone will eventually be able to fabricate a firearm is a good or bad thing, just the thought of 3D printed firearms will send shivers down the spines of law enforcement agencies around the world. There has been an incredibly fast progression of the technology behind the methods of manufacturing guns with 3D printers in the last two years alone. Imagine what the next five to ten year will have in store for us. It seems like it was only yesterday when Defense Distributed’s Cody Wilson 3D printed the very first known gun. Maybe that’s because it was almost yesterday. Believe it or not, it was only about 17 months ago when Wilson unveiled the 3D printed ‘Liberator’ gun, which he created on a Stratasys Dimension SST 3D printer. What many people don’t realize though, is that several different firearms as well as gun parts have been 3D printed in the short time since Wilson’s creation was revealed. I have provided below, a short history of the various 3D printed firearm models that we have seen to date. This pistol was initially printed on a Stratasys Dimension SST 3-D printer, which utilizes fused deposition modeling technology, by Cody Wilson and Defense Distributed. It is a single shot pistol which uses .380 ACP cartridges. Since the files were released, hundreds of thousands of individuals downloaded the entire blueprints, and numerous individuals have printed this gun out prior to the Justice Department demanding that Wilson remove the files from the internet. By this time it was much too late. The gun has since been printed on a variety of different 3D printers including those priced at under $1000. Months after Wilson’s gun was publicized, a Canadian man going by the name ‘Mathew” 3D printed an actual rifle. This firearm was tested, and pretty much exploded in his arms. Mathew went back to the drawing board, and this time thickened the walls of the barrel. The Grizzly 2.0 was printed on a Stratasys Dimension 1200e machine, and was able to fire off 14 shots prior to it developing a crack. Just a month later, Hexen released the blueprints for their Reprringer Pepperbox revolver. The weapon which can hold 5 bullets at once, is a small firearm, with a relatively poor aim. There are three versions of this weapon, all of which are easy to find and download online. It was initially printed on a variety of consumer desktop 3D printers. The gun was designed by a man going by the name of Franco, and unlike the other weapons we covered, this one does have stainless steel liners for its barrels. Hexen continues to improve upon the gun, with a 3rd version currently available for download. In November of last year, Solid Concepts, now a Stratasys company, blew all these other firearms out of the water, by using a direct metal laser sintering printer to create a replica of a 1911 Browning .45 pistol. To date this weapon has fired over 600 shots successfully. Solid Concepts plans on producing more of these firearms in the months to come. It is important to note that a machine capable of printing this weapon would run close to $1 million, and printing such a gun to resell is not currently economically feasible. This May, a Japanese man, Yoshitomo Imura, was arrested after he had posted a video online of himself firing a 3D printed Zig Zag revolver. The man who is believed to have printed the weapon months prior, also was found in possession of four other 3D printed guns, which he reportedly printed on a sub-$500 FDM 3D printer. Imura did fire the revolver, which has a capacity of six bullets, however, he stated that blanks were used. I’m sure that in the coming months and years ahead, this list will continue to expand. Make no mistake, 3D printed weaponry is here to stay. It will be up to law enforcement to figure out a way to protect the public without stepping on their civil liberties. These guns are only the beginning. Let’s hear your thoughts on what, if anything, should be done by authorities to make sure these weapons do not fall in the hands of crazed maniacs. Discuss this story in the 3D printed gun forum thread on 3DPB.com.